Humid air makes people uncomfortable especially at night. It makes people sweat a lot and the water cannot evaporate because of the saturated air in the room. A de humidifier serves the purpose of eliminating humid air. What is a de humidifier? These are types household appliances that reduces the level of humidity in the atmosphere of a roof for health purposes. The air in the humidifier passes over a series of cooling coils and a set of heating coils and then goes back into the room as drier air with an elevated temperature. A refrigerant style unit uses a fan in processing the air in a condenser. The water in the air condenses and is drained on the coil. The air is reheated in the second exchange coil and the air is then released back in the surface of the room. Desiccant style units absorb the moisture of the air by using a drying agent, which is called a desiccant. The desiccant material is located in the heat exchange wheel. Another set of process dries the wheel and releases the warm air outside the room by using a special ducting. This appliance utilizes more electricity than the de humidifier that uses a fan. Natural gas is being used for heat exchange. A ventilator can also remove humidity with a sensor controller and an exhaust fan. The sensor is being set to function when it reaches a set level of humidity. It is basically used in basements with a high level of humidity, but it can also depressurize the basement. Some people make their own homemade moisture removal units by using salt to absorb the moisture in the air. This solution leaks into the drainage of the floor while drying the air. - A de humidifier will remove the excess moisture of air. It can remove at most 15quarts of water daily depending on the type of appliance. - This will give you comfort most especially on hot days. It will also prevent buildup of molds in your houses. These microorganisms may harm your health and can cause damage to your property. If you are going to purchase this appliance, you have to consider several things like the size of your room. Portable dehumidifiers are already available in the market and they serve the same purpose as the traditional appliances, but you may have a problem with the noise it will produce. If you only have a limited space, you can have the appliance that can serve the entire house. It may be expensive because of its installation and the energy it will consume, you might also face some problems in the maintenance. 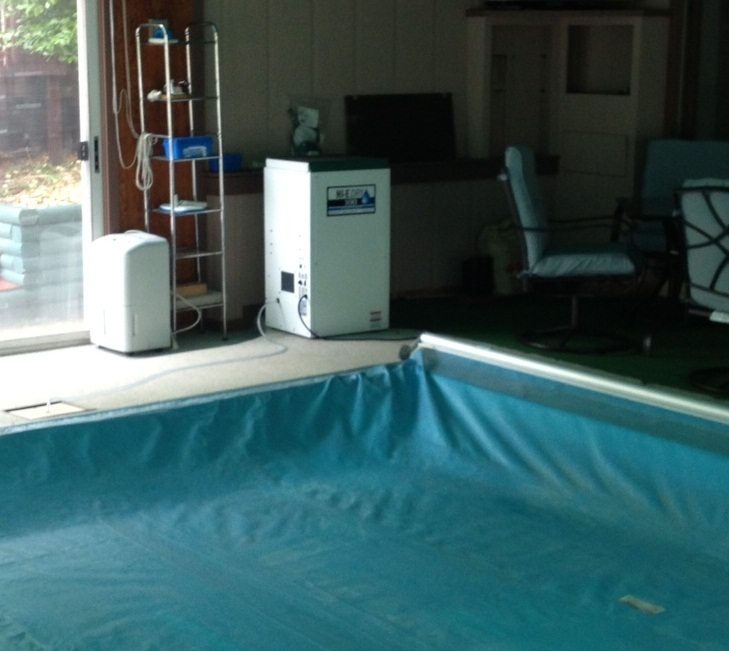 Consider a dehumidifier that has a built-in humidistat. It must also have an indicator light and timers that will help you in monitoring and controlling the humidity levels right away. You should also choose this appliance with an appropriate air filter because it enhances the quality of air and prevents any allergic reactions. This appliance is basically designed to give you comfort and provide cleaner air for your health. This article was published on Saturday 11 May, 2013.